Thank for tuning into another episode of Radd's Basement! This time I conclude my Doctor Who discussion with Koop and Vallas, digging more specifically into what's going on with Doctor Who right now. 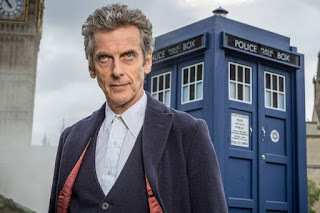 Unfortunately the news about Peter Capaldi leaving the show hadn't broke yet so we don't get a chance to discuss it, but I briefly touch on it in my intro. We do talk about how great we think Peter has become, and we'll definitely miss him as the Doctor. We also discuss the differences between showrunners Russell T. Davies and Steven Moffat, Torchwood, as well as favorite companions, seasons, and episodes. What else? WHO can say? Enjoy!